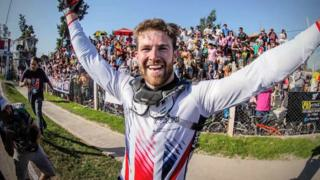 Liam Phillips has become the first man to claim back-to-back titles after winning the BMX Supercross World Cup in the United States. Watch highlights of Liam's stunning season that saw him win three of the five rounds. If you fancy having a go at BMX then have a look at our guide to cycling. Footage courtesy of British Cycling.